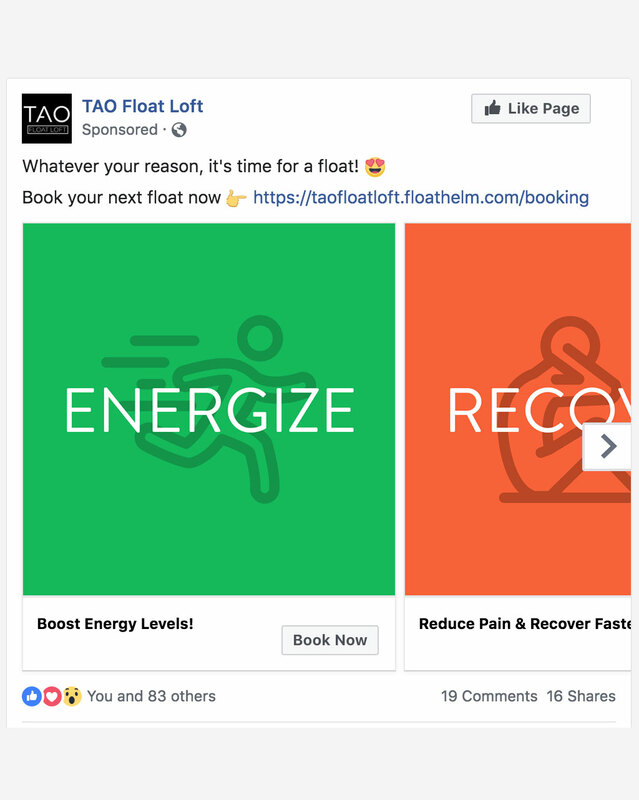 The following case study is from one full calendar year of working with Tao Float Loft as one of our partners and the corresponding results of our work. We used their Business Upgrade hours to accomplish projects like: revamping more of their website, creating a new page to highlight memberships, setting up email and Facebook messenger automations, helping to hire new staff and providing pricing, campaign and event strategies throughout the year. 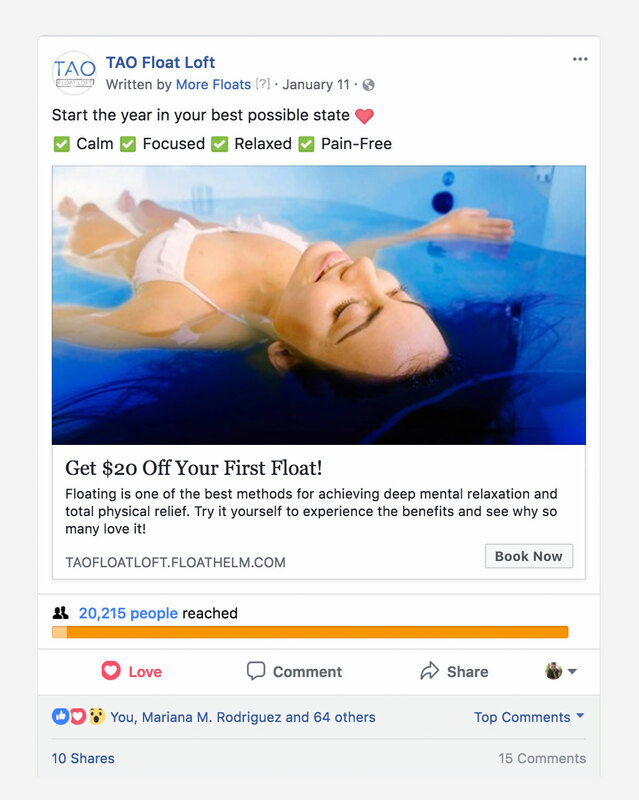 Coming off of new records we’d set for Tao Float Loft during last Christmas in 2017, we worked to build their membership and set up systems that increased retention. 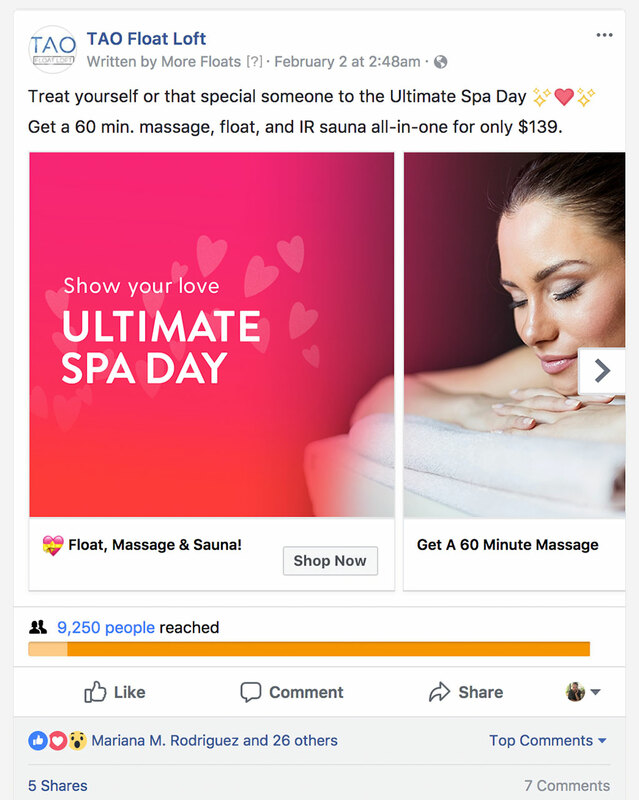 We broke their top sales by 11% and 66% at their two locations in December 2018 with stronger ads and new systems. 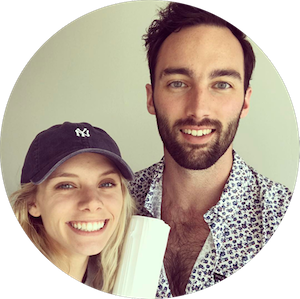 We increased Tao Float Loft’s active members by 1300% compared to their previous year.